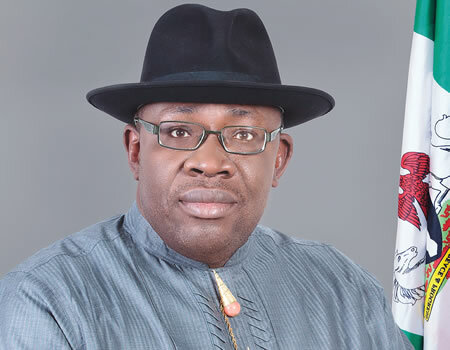 A surveillance security firm working for an oil multinational in Bayelsa State, Darlon Security and Guards Ltd., has slammed Governor Seriake Dickson over allegations of terrorism levelled against it. Dickson had, during his speech at an event, ‘Rise for Bayelsa Campaign’, an initiative meant to draw global attention to environmental degradation and oil spillage across communities in the state, accused Darlon Security and Guards Ltd and its Chief Executive Officer (CEO), David Lyon, of engaging in terrorism against Bayelsans, fuelling insecurity and running a parallel government in the state. However, in a statement issued in Yenagoa, by the firm’s Head of Operations, Wilson Clifford, the company described the state government’s allegations against Lyon and the company as the height of desperation by the state government in its frantic bid to pull down Lyon, whose only crime is being a chieftain of the All Progressives Congress (APC). The firm said, through its activities, over 5,000 youths had been taken out of the creeks of the state and provided employment, thereby, reducing the crime rate. “It is an established fact that the entire swamp area, with notoriety for crude oil theft, illegal refineries and pipeline vandalism in the past, is now a haven of peace, thanks to the operations of Darlon Security and Guards Ltd. We, therefore, take exception to governor Dickson’s phantom allegations against us. “If about 5,000 persons employed by Darlon Security and Guards Ltd., is what governor Dickson considers as running a parallel government, then, we plead guilty to providing livelihood for thousands of Bayelsans. We would like to state, unequivocally, that our chairman, Lyon, is a peace-loving man, who has never engaged in any act of terrorism, and would never engage in such an act,” the firm said in the statement.